The Laboratory Assessments Board oversees National Research Council activities involving review and assessment of the technical quality of internal research conducted at laboratories. 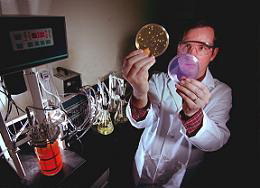 This includes those laboratories established by federal agencies at national laboratories and at government-owned, contractor-operated facilities, but may include others as well. Assessments are performed by NRC committees appointed under the auspices of the board and established separately for each institution or laboratory.